as well as Fabian on saxophone. and aced the performance to a standing ovation from his guests. Charlotte and Wai Kit first heard ShiLi & Adi at a private event in Singapore and fell in love with their voices. When they decided to tie the knot, they wrote to us to fly them in for their luxurious celebration in Penang. Knowing that the ShiLi & Adi, as well as their band members, John Lye; who plays the guitar and also sings and Gerald, the percussionist would be able to work the crowd, they arranged for the band to perform only after the dinner for their afterparty just after the fireworks by the beach. 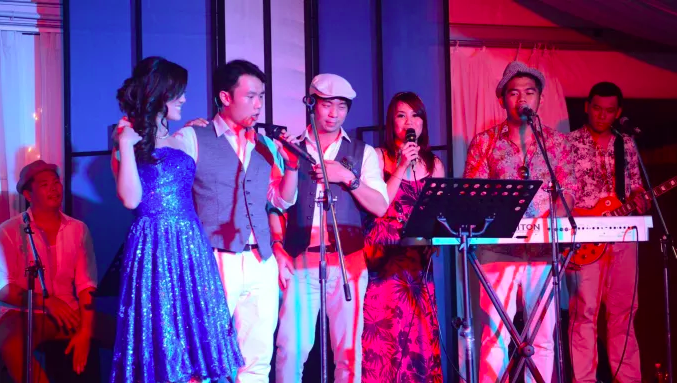 The Malaysian couple and their international guests who flew in from Hong Kong, Singapore, UK, US and Australia had a night of fun and party by the beach singing to popular favourites like top 40s and classics in multiple languages. It was a magical night with lots of fun and laughter. Ariff & Ivana were fans of ShiLi & Adi’s music since their dating days. It was a natural choice to have the dynamic duo when its their time to wed. They flew the duo to their intimate wedding in Bali and their grand celebration in Makassar, two very prominent cities in Indonesia as they knew dynamic duo would be able to mesmerize their guests in multiple languages – English, Mandarin, Bahasa Indonesia and dialects such as Hokkien and Cantonese. 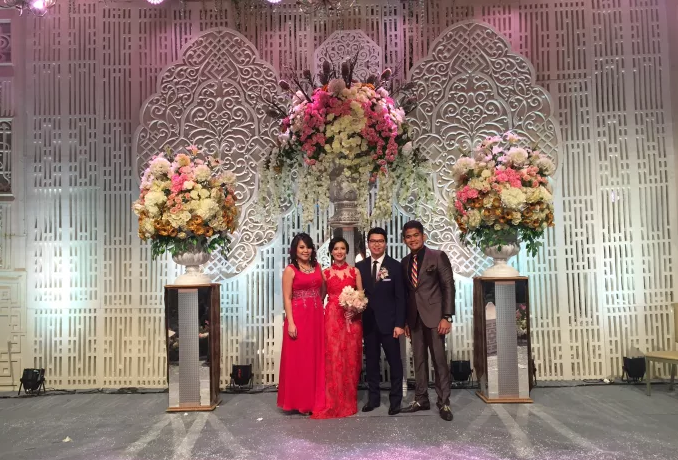 The intimate celebration in Bali was held for 200 of the couple’s closest family and friends. Set at the prestigious Ritz Carlton in Nusa Dua, the duo performed with a white grand piano against the Indian Ocean as their backdrop. In Makassar, ShiLi & Adi performed with a 17-piece orchestra from Surabaya on the main stage to 2000 guests at Upper Hills. Hosted by Tony Lucky of Illusion Entertainment, they also had a section in the performance where it was just the two of them at the grand piano. Stefanie first called her on the phone asking for ShiLi & Adi's availability to perform at Lin, her best friend's wedding celebrations at W Hotel. The down to earth star introduced herself as Stefanie and she was referred to us by one of her band mates. We sent out proposal over to her email and she arranged for us to meet Lin. It was Lin who revealed to ShiLi during the meeting that Stefanie Sun had called to arrange the meeting earlier. The star struck ShiLi almost spilled her coffee and the rest was history. The grand wedding at W Hotel was a celebration for Adrian and Lin as well as their niece and nephew who also tied the knot on the same day. Adrian, the groom, also invited his parents to renew their vows on stage with them as it was their 30th Anniversary during their wedding day. 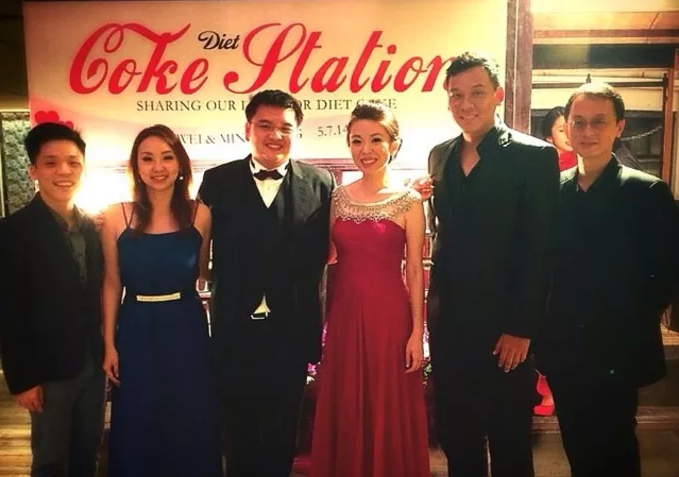 What a joyous and grand occasion having ShiLi & Adi and their band perform together with Stefanie Sun as the couples marched in to the Great Room for the wedding proceedings. Stefanie also single handedly picked an Abba themed setlist for the band to perform! It was indeed a challenge but as usual, ShiLi & Adi always deliver.